The Wheelwright's shop, owned for a least four generations by the Bates family was at the corner of School Lane and Leicester Road. It was demolished in 1907. 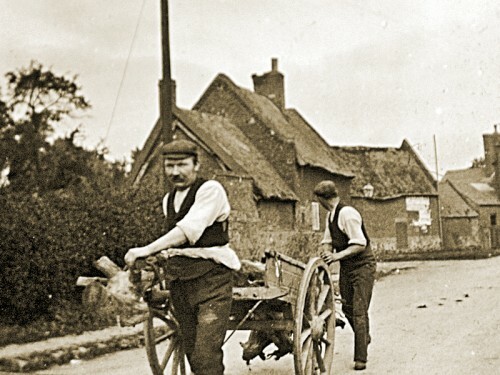 The photo here has been taken near the turning from Stoop Lane and in the centre behind the workers is the cottage where Stoop Lane meets School Lane. This cottage still exists.